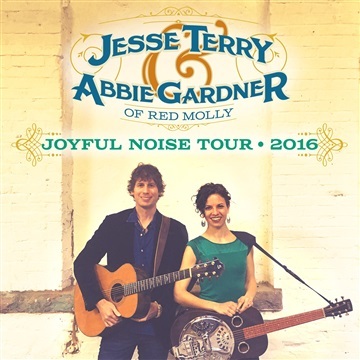 These three songs are the first recordings from singer/songwriter Jesse Terry and Abbie Gardner (of Americana darlings Red Molly). The recordings are centered around the pair’s stunning vocals and rich harmonies, perfectly complimented by producer Neilson Hubbard’s beautifully sparse arrangements. Over the years, Terry and Gardner have opened for and toured with the likes of Willie Nelson, Paula Cole, Vince Gill, Tom Rush and Darrell Scott; that varied group of legendary influences shines through in this collection of music. Initially available exclusively through NoiseTrade, this release serves as a precursor to the duo’s upcoming “Joyful Noise” Tour.